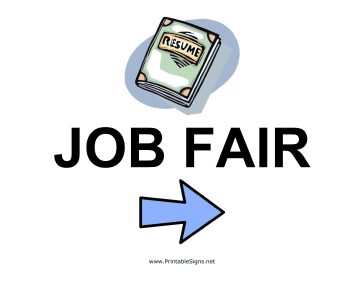 This job fair sign will notify students that this important event is coming to your school. Be sure to post these everywhere, as any foot in the door is useful for graduating seniors! The right-facing arrow will direct students to the location.